This student submission again comes from my former student Peter Buhler. His topic, from Pre-Algebra: expressing a rate of change as a percentage. As a teacher, one activity that could be used to engage students would be to use a real world application. This topic is unique, as it can be applied directly to shopping at a store. This activity could include having students bring in a catalog of a sale (either from a grocery store or department store) to the classroom to use. Then students would be encouraged to calculate percent discounts based on markdowns, or they could use a fixed percent discount (ex: 30% off everything) and calculate the new prices of various items from the store. This activity is not only effective for teaching the topic, but also engages students since this is a topic that everyone deals with on a regular basis. Also, allowing students to bring in catalogs gives the students the freedom to operate within the classroom, as opposed to being given a generic worksheet and asked to solve those problems. An extension of this could be to introduce exponential growth (which is still rate of change and uses percentages) and can be applied to banking, credit, mortgages, and other applications that students may know little about. Although the rate of change and percentages may be introduced at the junior high level, students will continue to use various aspects of these topics even into college level math courses. Derivatives are a huge part of calculus, and it is a known fact that derivatives are simply the rate of change of the original function. On the other hand, percentages can also lead to discussions around probability, chemical compositions within a compound, or even calculating grades for a certain class. 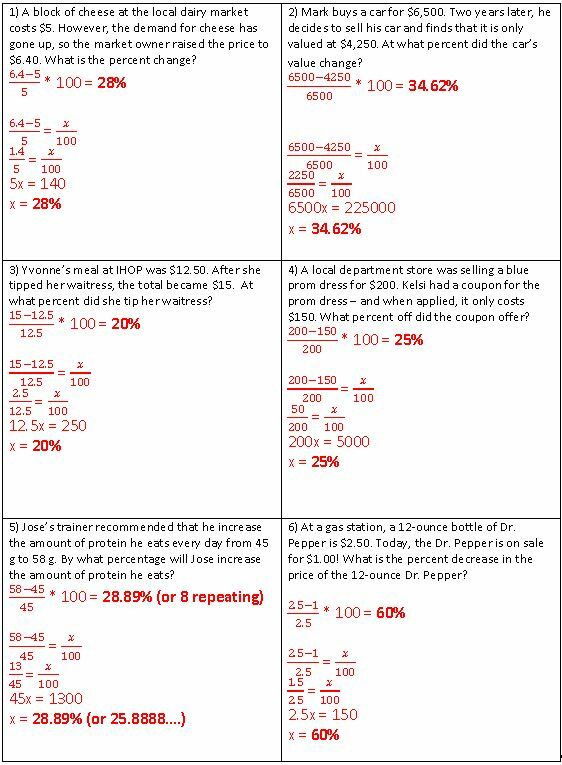 All of these deal with using rate of change or percentages in classes outside of pre-algebra. One application of this could be to introduce derivatives in a class outside of calculus and in a way that students would easily understand. If a student is able to understand the idea behind the rate of change, then they can understand a derivative. Likewise, the teacher can introduce certain applications of percentages outside of mathematics in order to tie in other topics. As mentioned previously, one method to engage students is through real world applications. Both rate of change and percentages can be found in compound interest. There is a link to a video on YouTube which illustrates how powerful compound interest really can be. The use of graphics and other visuals within the video would allow for student to grasp how large the rate of change is, even after starting with small numbers. Another useful tool that could be used in the classroom is an online calculator to observe the rate of change. If students have the ability to access the internet, then they could access the URL listed below. The website allows for students to put in different dollar amounts to observe the rate of change in regards to investment. While there is certainly a time to teach students how to calculate this without the website, this could be something that the students use to gain insight into how quickly compound interest can occur. 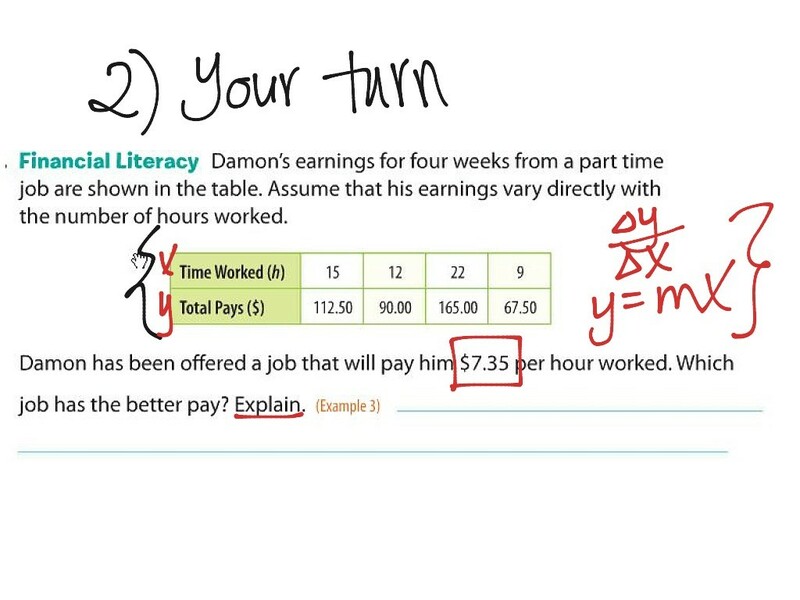 It also gives students the opportunity to observe how different values change the final total and therefore make observations about how compound interest works. The link is: https://www.calculatestuff.com/financial/compound-interest-calculator. This student submission comes from my former student Jessica Williams. Her topic, from Pre-Algebra: solving two-step algebra problems. Prior to learning about two-step equations the students will have worked with one step equations. They are used to seeing simple equations, such as x-2=6 or 2x=10, where they only have to complete one step. Before teaching the students two-step equations, the teacher should allow a couple practice problems to access the student’s prior knowledge. The two-step algebra problems are only a slight extension to what they have practiced. It also extends on basic addition, subtraction, multiplication, and division. They know how to do all of these things; however adding a variable to the mix is quite an extension in the perspective of the students. They have to be taught the meaning and definition of a variable and how it has a specific value that needs to be solved for in order for the equation to be correct. Learning this topic will also help prepare the students for more difficult math such as solving quadratic equations, word problems, etc. Technology can always be made fun for the kids, however it can be very good for extra practice as well. For example, http://www.math-play.com/Two-Step-Equations-Game.html is an amazing way to practice and have fun at the same time. The game requires player one and player two to go against each other. Each player has to answer a two-step equation correctly in order to shoot his or her ball at the basketball hoop. The player at the end with the most points wins the game! This game is extremely engaging for the students because it involves competition. What does every student love to do? WIN! It boosts their confidence. If the student would rather work alone, that’s fine as well. It still benefits every student why keeping their mind in the game and focusing on answering correctly. The students can also answer question on Khan academy or watch videos for refreshment before the next class. There are so many ways technology can be beneficial. In previous lessons, I have used Kahoot and plickerz. Both require 100% engagement from each student and they both require individual accountability. This student submission again comes from my former student Jenna Sieling. Her topic, from probability: expressing a probability as a fraction and as a percentage. This topic is something that can really be applied in many places. Especially in sports, weather, and economics, probabilities as fractions and percentages are used daily. This can become very relatable to high school students no matter what they are interested in or plan to study in college. An activity that can be used in the classroom is starting a fake fantasy football league. Although I have never played in a fantasy football league, I know that to win in your group you need to look at the statistics of each player doing well. Given a class of hopefully around 30 students, we can start a week long activity of our own fantasy football league in the classroom and the students can be given different statistics each day to calculate the probability of their players being a good advantage for their team. This is just one activity that could catch the interest of students who may not usually be interested in probabilities. One of the most popular majors for young students to fall into is business and probabilities become an important concept to understand if you plan to work in the business world. By making this point to a class, I feel the students will take the importance of this subject to heart. Business is not the only future path that would be using probabilities in the form of fractions or percentages. 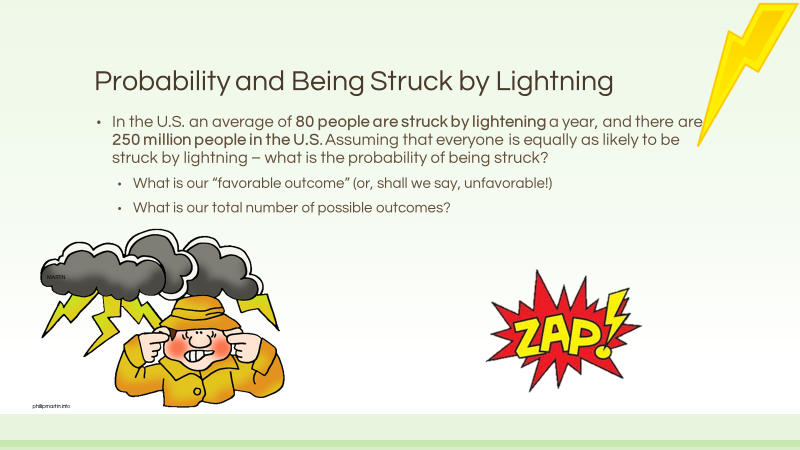 Fields like meteorology, economics, and even education majors would use the concept of probabilities to help teach elementary school students the basics to help them further on. If a student goes on to study history, at one point he or she will have to look at the economic history and understand the probability of these events happening and the probability of them happening again. The student would need to know how to multiply integers by fractions or percentages to gain conceptual knowledge of probability and its use. I googled different online games to use for probability games and the most useful games, I found from Mathwire.com. Most games on this website were dice-based probability games but I think these are fun, easy games that could be assigned as homework. One game on the website was a game named SKUNK. The aim of the game is to guess the probability that a pair a dice will give you the highest amount of points. Each letter in the name SKUNK counts as one round and at the end of all the rounds, the person with the highest amount of points wins. Each player has to roll the dice once within one round and calculate the probability of getting the highest amount on each round. After looking at this game and others on this website, I realized that I could also explain the probability you need to understand to play poker if it was a popular game between friends and family. I could easily find a website to create a mock poker game and show students the idea of probability within poker. This student submission comes from my former student Megan Termini. Her topic, from Pre-Algebra: order of operations. Now Mult. or Div., Now Mult. or Div. There are certain dance moves to go along with each step in the song. Here is a video of some students doing the song and dance (Reference A). This is a very effective way of teaching the students the order of operations(PEMDAS) because many students love music and dancing, and they are more likely to remember the song and dance moves than just memorizing the order itself. Learning the order of operations is very important for the students to learn, especially for their future courses in mathematics or science. The order of operations is used is almost every mathematics course from then on and most of the science courses. That is why is it very important to understand how it works. You know that you will use them in math and science course, but also you will use the idea of order of operations in computer sciences courses. When programming, the code has to be in a specific order to work. Just like a math problem, if you don’t apply the operations in the correct order, then you won’t get the correct answer. This student submission comes from my former student Lyndi Mays. 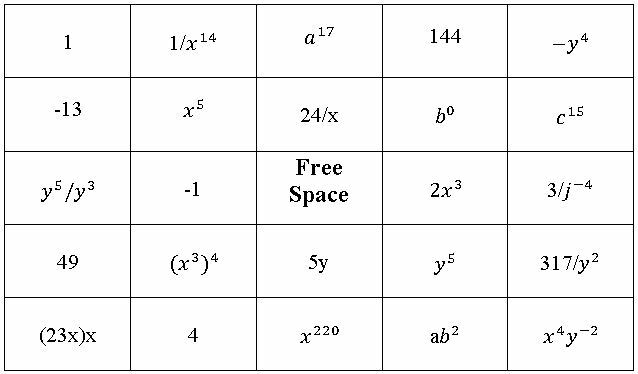 Her topic, from Pre-Algebra: the Laws of Exponents (with integer exponents) While thinking about different activities that I could do with Laws of Exponents I decided to try making a bingo card. I like this idea because it’s a way for students practice on different problems while playing a game. The way I have it set up to use in a classroom, I have questions that I would ask. One example is . I would put this up on the board and the student has to solve it and see if they have the answer on their card. I would tell the students what the answers were until after we were done with the activity so that they’re not just waiting to hear the answer instead of doing the work. If a student got a “bingo” then I would check their answers and if they got them all right then I would have an incentive like 5 extra points on a homework assignment of their choice or something along those lines. So, if I wrote on the board the equations , , , and . If a student received this card, then on these questions they would get a “bingo” on the descending diagonal from left to right. You’ll also notice that I included some wrong answers in a few of the spots. Hopefully the students would notice they were not all the way simplified and would know they couldn’t use those. Students can use Laws of Exponents to help them understand Laws of Logarithms. They will use the Laws of Exponents throughout Calculus courses when taking the derivatives or integrals of different problems. It’s important for students to understand these laws so that they can simplify problems and use them to their advantage. One example is when the student is asked to solve . 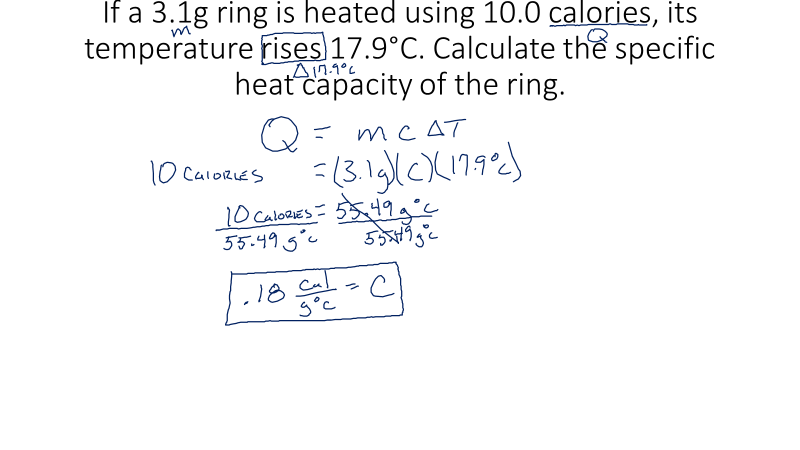 If the student has a good understanding of the Laws of Exponents, then their first reaction will be to change it to . Having this understanding is necessary for this problem and helps when students already know the Laws of Exponents so that they’re not having to learn extra material basically. = 3×3×3×3×3×3 Once we remove the parentheses we see we’re just multiplying 3 together 6 times. Teaching the students the Laws of Exponents this way can show them how a mathematician discovers all these rules that we follow and gives them a better understanding of the laws. Opening up this interest might help the students become more interested in math. Another example that I would show students would be . From here I would show the students that we could break it down to . Hopefully, then the students would see that you could divide and get rid of the denominator, , and this is why it is ok to subtract when a term with an exponent is being divided by something with the same base. This is also a really good way to show students why they can NOT use these laws when they’re working with terms with different bases.